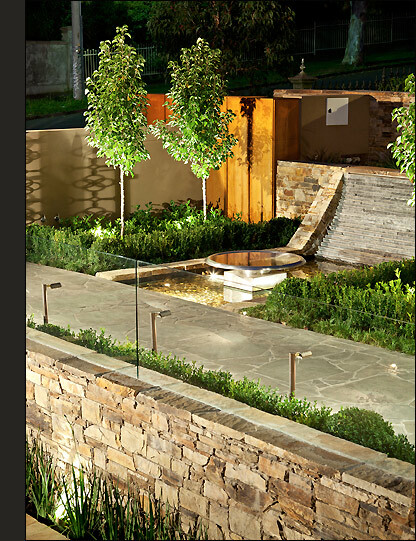 Justine Carlile LANDSCAPEdesign offers our clients an individualized design and decoration service. The process of your landscape begins with an on-site consultation with Justine who will seek to understand your personal style, what you are trying to achieve and how you want to enjoy your outdoor space. From this meeting, we develop a design proposal to suit your individual requirements. Upon acceptance of our design proposal, we will commence the design phase of your garden which will include a number of meetings with you and your architect (if relevant) to refine your design. The final designs will include concept of all hardsurfaces and elements, planting scheme and garden lighting. Photo galleries of ideas to assist in visualizing ideas and photos of plants are included. To assist our clients visualize the concept design we offer a 3D computerized tour of their landscape.